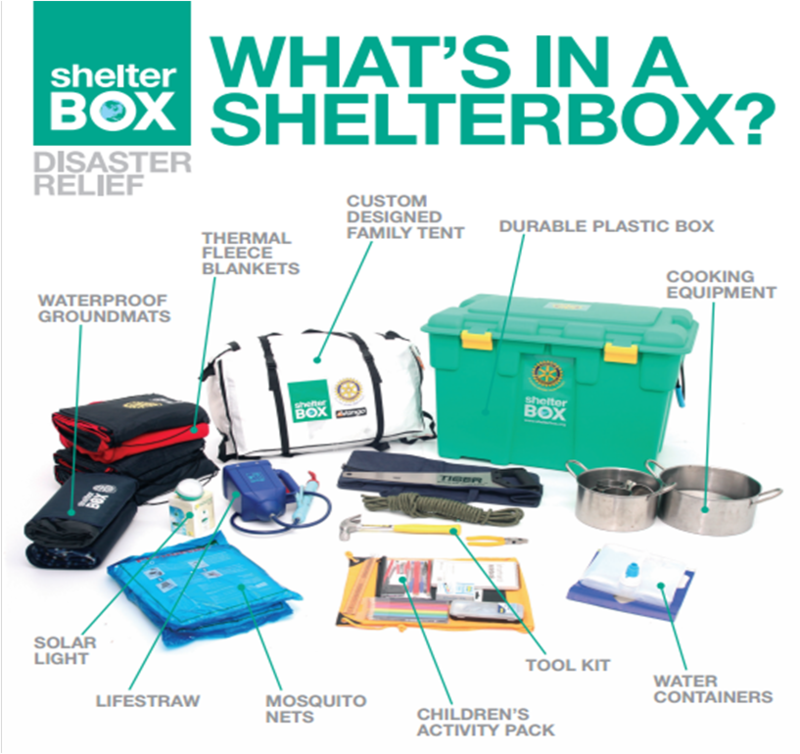 ShelterBox USA is a non-profit disaster relief program administered by the Rotary Clubs of Lakewood Ranch, FL and Helston-Lizard, Cornwall, UK. It is supported by the concern and grassroots generosity of Rotarians worldwide, individual US citizens and organizations: service & community groups, schools, corporate and private foundations.  A multi-fuel stove that can burn anything from diesel to old paint!  A small, children's pack containing drawing books, crayons, pens etc. However, a range of equipment is kept in stock. This allows ShelterBox to be flexible and adjust the contents of the box according to local conditions and what is most urgently needed. We also have sleeping bags that can be used in particularly cold conditions. Sometimes, particularly if other resources are available locally and the overwhelming need is for shelter - we will just send tents and pack two in each box. Once assembled, boxes are banded and sealed for transit. They are individually numbered so each box can be tracked and donors can know the final destination of the box.